Tonight I’m meeting with my neighborhood book club, which I’ve not-so-cleverly dubbed “My Neighbors are Better than Your Neighbors.” I’m super lucky to have a great group of gals to hang out and talk books with. This month, one of our members (who also happens to be my Girl Scout cookie hookup) chose The Giant’s House: A Romance by Elizabeth McCracken. In 1950s Cape Cod, small town librarian Peggy Cort feels like she’s passed her expiration date. She’s resigned herself to a small life, when a very large boy walks into it. James Sweatt is 6 foot 2 inches at 11 years old, and nowhere near finished growing. The two strike up the sort of connection only outsiders can truly understand, and their lives are never the same. And there’s maybe kind-of-sort-of some romance, depending on your perspective. I’ll just come right out and say it: this book wasn’t for me. The prose is perfectly lovely, and to a different reader this book might be fantastic. But for me? Meh. Yes, “meh.” Charleen of Cheap Thrills Book Blog (who is more eloquent than I) wrote a fantastic piece on the merits of using the term “meh” that you should read. (Really, click on it. HERE.) Writing a review of a book that hits you upside the head with all the meh is crazy hard to do. I’m stuck in a gray area of stumbling over words, and it makes me all twitchy. Choosing the book for a book club can be nerve wracking. It’s not just about choosing a “good” or “bad” book, it’s about choosing a good fit for your group. If your book club is really into dystopian YA, busting in with some highbrow literary fiction probably isn’t going to go over too well. Nobody wants to read the same thing all the time, (okay, well *I* don’t want to read the same thing all the time.) That’s part of the beauty of a book club, reading something you might not have picked up on your own. That said, everything new carries ALL THE POSSIBILITIES. You could love it, feel like a giant ball of “meh,” or rage at the heavens that such a piece of literature was ever brought into being. Because I’m not much of a re-reader, whenever I make a book club selection, I typically go in blind. These days I’ve got a pretty hefty advantage. I read a lot of book blogs, and have a killer group of blogger friends who know my taste well enough to help me make my decisions. But you know something? Sometimes it doesn’t even MATTER that you’ve researched and read reviews and polled your pals. You really don’t know if something is going to work for you (and your book club) until you read the darn thing! I’m not going to give my Girl-Scout-Cookie-Hookup too much crap for picking a book I didn’t like. Then I’d have to go out and make another friend with a Girl Scout daughter, and I just don’t have the energy to go hunting one down. Not to mention, one of these days IT MIGHT BE ME responsible for the book club bomb. It’s cool, Emily. I still love you! What about you, Bookworms? Do you feel pressure choosing books for your book clubs? Is my anxiety a reflection of my own inner turmoil or do y’all deal with this too? That’s a good system! We just rotate. Whoever hosts gets to pick the book. Bummer that you didn’t like this! I’ve heard so many great things, I just recently bought a used copy. My book club chooses as a group at the end of each meeting, but I usually feel a ton of pressure because I’m “the blogger”. So, unless someone has something they’ve been dying to read, it ends up being “Oooh, Shannon, what are we reading this month!? !” Arg! I think I might be bad at appreciating literary fiction… I rarely seem to get along well with things that have won awards. You might really like it. I think there might be enough here to get us talking because there were some elements that were a little… shall I say scandalous? A little. Not a lot. Gray areas and whatnot. We try to be thoughtful about what most of us would enjoy. I’ve picked winners and doozies. It’s like that. We’re considering inviting a man to join us, just temporarily, to mix things up. Ohhh yes. Been there, done this. Sometimes a “meh” book can spur some great discussion, though. I hope enough folks finished it to make that happen! If they didn’t, we’ll just drink and gossip about the neighbors. It’s really a win-win. So, what you’re saying is, it didn’t have enough penguins in it, right? That’s about the size of it. You get me! I got squigged out the second I read “A Romance” and “11 year old boy”. My book club picks some really random stuff. My biggest beef is that they’re constantly picking best sellers from a few years ago which means a handful of us have probably already read them. 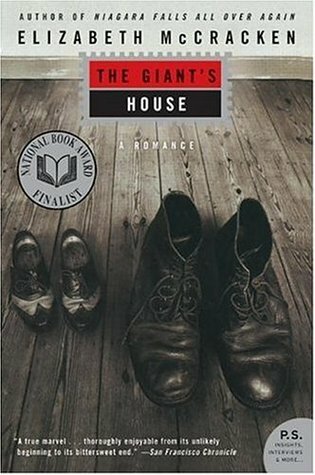 In the last year we’ve done Room, The Glass Castle, Tuesday’s with Morrie….all of which I had already read. I mean I enjoy getting together for dinner once a month and just chatting but it would be nice if that happened while we talk about a book I hadn’t read like 3 years ago. Nothing actually happens that’s pedophiley… Just gray area creepy. This is the first book I’ve actually had to read for book club in months. I don’t object when they pick something I’ve already read because, well, I’ve read a lot. If I’m the only one that’s already read it, it doesn’t seem worth finding an alternative. Agreed, I read a lot, so if I was the only one, but I’m not. And it’s frustrating. I think I’ve only had to read 3 or 4 books all year for my book club. I used to make myself finish the meh books, but now I don’t. Now I just hand them off to someone. Life is too short to finish the meh…I’d rather be mad a book was so horrible than just feel meh about it. Yay for using meh as often as possible in a comment. P.S. Never make the cookie provider mad…never! I agree that you should never anger the cookie provider. She’s not just a regular GS mom either- she’s the troop leader. Mad hookup right there! Yeah, meh books are the worst, especially if they’re supposed to be discussion starters. Who knows, maybe someone loved it and will get you talking. Failing that, wine. By the way, I would have given it a try by its cover! 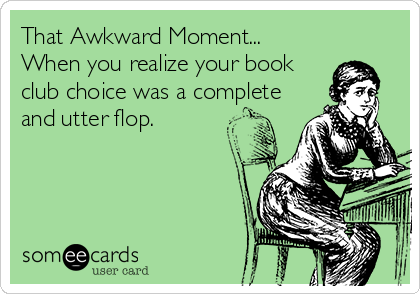 Ha ha … I’ve had similar experiences with book club choices. One book was so bad, I didn’t go to the meeting because I didn’t want to feel awkward talking about all the weird stuff in the book. Huh. I read a good review of this somewhere because I put it on my to-read list on Amazon. I thought it was you, but I guess not! I get crazy nervous when it’s my job to pick the entertainment. Usually that means I’ve decided what movie my husband and I will watch. There’s a refrain in my head – “Please let this be good. Please let this be good. DON’T let this be weird!” I would be a wreck if I made a choice for a book club that turned out to be a dud! 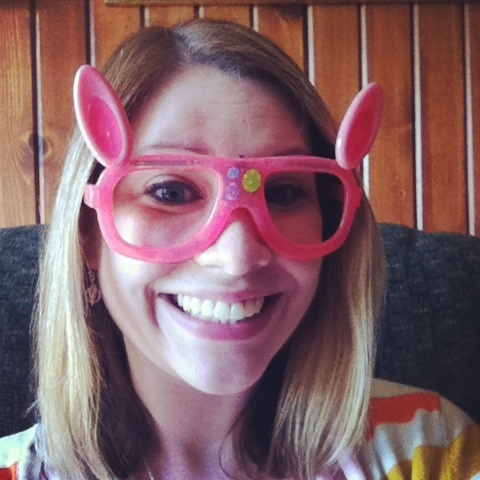 I lose at book clubs for several reasons. The last time I tried an in person book club was with two of my law school classmates who inexplicably wanted to read ‘To Kill a Mockingbird’, I think the idea was to remind us why we were suffering through law school. So whatever, I reread the book, go to the hostesses house, we end up drinking three bottles of wine between the three of us – and not talking about the book at all. My other reason is that I either read the book too early and forget everything I want to talk about or I wait until too late and end up doing a lot of skimming. I don’t belong to a book club yet, but there are plans in the making of starting one (with my writer friend). I must say that I would get nervous when someone else (who I don’t know) has to pick a book. Good luck with the next book club pick!